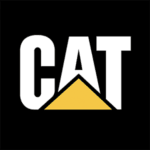 Since the 1960's, CAT have been producing forklift trucks designed to last and built to perform in some of the toughest and hardest environments in the world. 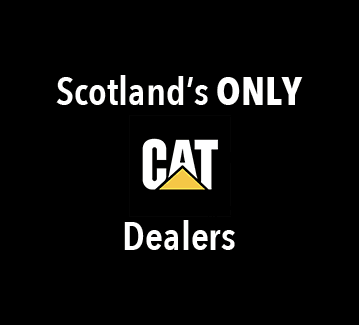 Dechmont Forklift Trucks are proud to be Scotland's only dealer of CAT Forklift Trucks. Dechmont Forklift Trucks is now part of the Impact Group and has the full backing of its nationwide network, access to their entire premium brand product portfolio and uniquely flexible in-house financing solution. With over 30 years of experience, both Dechmont and Impact have accumulated a wealth of knowledge and experience in Forklift Trucks and Material Handling Equipment, that has led to our reputation as experts in our field with a commitment to quality. Our Sales Team are on hand to advise you through the process of selecting your Forklift Truck, supported further by our Engineers. 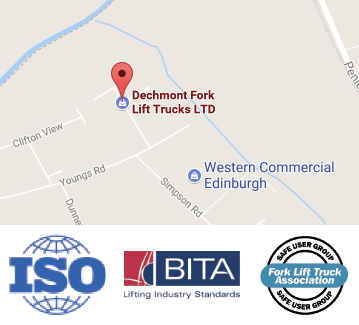 Our Truck Engineers’ work comes with a quality guarantee providing peace of mind to our clients, they are all fully qualified and experienced, taking pride in their work, aiming to swiftly complete work while maintaining the highest standards that our clients have come to expect from Dechmont Forklift Trucks. The aftercare of our Forklift Trucks is as important to us as the Trucks themselves, and ensuring the longevity of their service to you and the safety of those that operate them is paramount. We have a team of committed Field Service Engineers that are all highly qualified to deal with all Faults on Forklift Trucks whether it be Gas, Diesel or Electric Forklift Trucks. They are trained to a very high standard and can look at all issues concerning Mechanical Handling. The annual process of ‘Thorough Examinations’ is an essential part of Forklift Truck ownership and an examination that Dechmont Forklift Trucks takes very seriously. We believe strongly in the safety of our staff and your employees, however, unfortunately, many Forklift Truck owners do not know the difference between a LOLER and a THOROUGH EXAMINATION. All of our Engineers are qualified to conduct Thorough Examinations of Forklift Trucks, which is a Health and Safety Requirement, and we would welcome the opportunity to discuss your H&S responsibilities with you to ensure you have the correct documentation in place.